Uber is shutting down its UberRush service for restaurant deliveries in New York, San Francisco and Chicago on 8 May as the ride share taxi service is encouraging restaurant clients to use its UberEats platform instead. According to Quartz, two former Uber employees said restaurant deliveries made up the majority of orders on Rush. The lesser-known service was introduced to allow users to hire a person to pick and deliver items, including packages, online orders, dry cleaning, flower deliveries and food, from one part of the city to the other. The service, which was launched in October 2015, was touted to attract businesses to “get customers pretty much anything in minutes”. 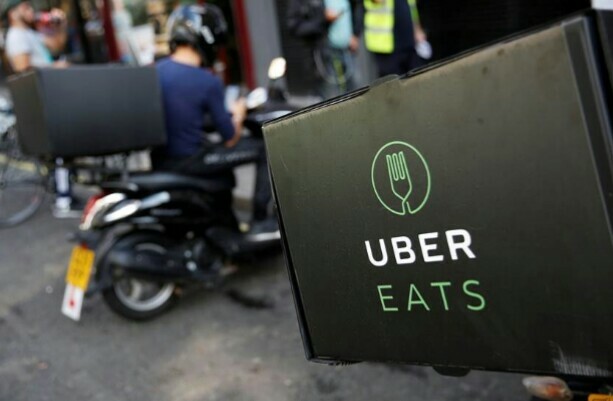 However, Quartz reported that Uber has informed restaurants that they would not be able to use the platform for food delivery from 8 May after discovering that Uber drivers were busy transporting food during dinner rush hour rather than ferrying passengers via its core ride-sharing business. Nonetheless, UberRush will be available to other merchants and businesses besides restaurants. Uber is also planning to restructure Rush pricing in May as well as expand its pool of delivery drivers for both Rush and Eats. Meanwhile, the company’s UberEats service is currently available in over 60 cities across Europe, the Middle East, Asia, North and South America. In March, it announced plans to expand to over 40 cities and towns across the UK including Nottingham, Edinburgh, Liverpool and Leeds. The news comes as Uber continues to grapple with a series of crises in recent months including sexual harassment allegations, a lawsuit from Alphabet’s Waymo over self-driving technology, revelations of a Greyball tool used to thwart law enforcement and its Hell software to secretly track Lyft drivers. Uber was recently accused of secretly shortchanging both its drivers and customers in the US as well. Further, CEO Travis Kalanick had publicly apologised after a video emerged showing him yelling at an Uber driver. The company has seen a slew of executive departures in recent months as well and was looking for a new chief operating officer to help Kalanick steer the embattled firm. Top Uber executives have vowed to get the company back on track and clean up its image and work culture.